Fay Fuller accomplished a historic feat 128 years ago Friday, becoming the first recorded woman to summit Mount Rainier. You may have seen Fay Peak in Mount Rainier National Park, but did you know it was named for the first recorded woman to summit Washington’s tallest mountain? That woman – Fay Fuller – is celebrated Friday on the 128th anniversary of her historic summit. In a Victorian era where women were expected to be corseted and stay in the home, historians say Fuller defied expectations, inspiring other women to pursue daring feats. “For a woman to decide that’s she is going to climb a mountain, that speaks so much to the desire to do other incredible things that women at that time were not thought able to accomplish,” said Gwen Whiting, lead curator at the Washington State Historical Society. Fuller, who was born in New Jersey, was brought to Tacoma when she was 12 years old. At the time, Tacoma was fairly undeveloped, according to Whiting. “She would have been around a lot of people with connection to the wilderness,” said Whiting. One of those people was Philemon Van Trump, a storekeeper and Yelm postmaster, who was one of the first people to make a recorded summit of Mount Rainier in 1870. Fuller got her first glimpse of the mountain up close during a trip to Paradise in 1887, and she was so in awe of Rainier that she vowed to herself she would one day summit its peak. However, it wasn’t until three years later that she got her chance when Van Trump gave Fuller permission to join a climbing party of four men. On August 9, 1890, Fuller strapped on “immodest” hiking gear that included a flannel bloomer suit, flannel underwear, and wool hose. 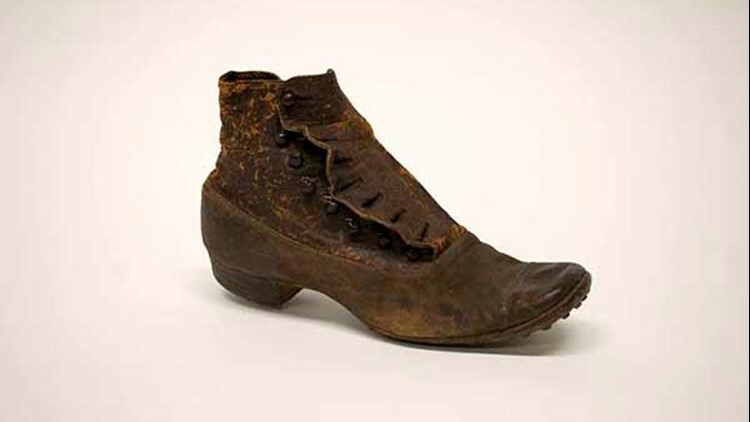 At the time, there wasn’t outdoor clothing specifically designed for women, so Fuller had to don boy’s hiking boots. To protect themselves from the sun and wind, the group rubbed charcoal over their faces, which acted as sunscreen. “They were climbing these peaks in equipment that was completely inadequate, and they managed to do it,” Whiting said. The journey was grueling. Whiting said the other men in the party offered Fuller assistance along the way, but Fuller said if she couldn’t do it on her own, she didn’t want to summit. By the time the party reached the peak on August 10, it was too late in the day to go back down, and they had to spend the night in an ice cave. When Fuller returned from her trip, she used her experience to encourage other women to pursue mountain climbing. Fuller helped found the Washington Alpine Club and the Mazamas in Portland and even got her own newspaper column dedicated to mountaineering. “She championed other women,” Whiting said.